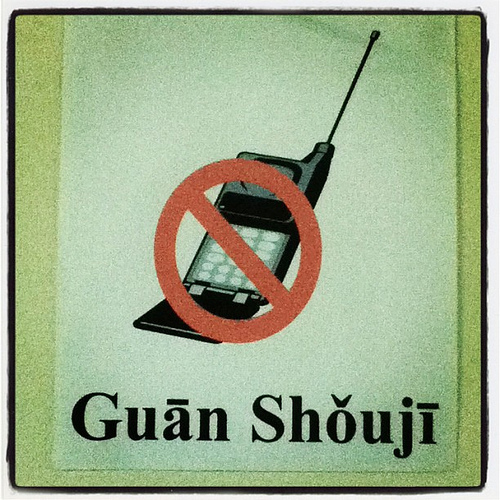 People who know me –my students in particular– know that I’m no friend of cell phones. I don’t really care if you have or use one, as long as it doesn’t impede on what I’m doing or annoy anyone else. Unfortunately, about 99% of cell phone use seems to annoy me. But there had been one area that was mercifully free of cell phones: airplanes. However, that may be changing. I was reading this article on Gizmodo about how cell phone use may be allowed on flights as early as next year. They have worked on planes forever, of course, but until now they’ve been prohibited, thank God. But apparently the newer plane models and technology won’t be affected by cell phone signals. If people are texting on planes, that’s fine with me, as long as they don’t try to text me (plus I’ve blocked them on my phone, so it’s a moot point anyhow). But anyone who tries to actually make a non-emergency phone call on a plane should be beaten with sticks or the stick-like sandwiches that pass for meals on domestic flights these days. I say we need to implement a zero-tolerance policy for this, lest the conversation above become a reality. This entry was posted in Airplane, Cell, Cell Phone, Mobile, Phone, Plane by Sitzman. Bookmark the permalink.